The succeeding weekends on ABS-CBN will be very tricky in the programming department. On Saturday, June 6, the second season of ‘The Voice Kids’ officially kicked off with the ‘blind auditions’ series of episodes. The show aired following ‘Home Sweetie Home’ at 6:45 p.m., thereby putting ‘Mga Kwento ni Marc Logan’ into a temporary hiatus. The following night, TVK’s ‘blind auditions’ continued. This time, the show aired after ‘Wansapanatym’ at 7:00 p.m., pre-empting ‘Goin’ Bulilit’ on that day. The season premiere of ‘The Voice Kids’ came on the same weekend that ‘Your Face Sounds Familiar’ aired its season finale. While at first glance it seems that TVK would be the one that would replace YFSF, ABS-CBN braintrust had other ideas. And so they did, premiering ‘The Voice Kids’ just as ‘Your Face Sounds Familiar”s first season was coming to a close. As expected, both series were a hot topic on Twitter, and as far as ratings are concerned, both are poised to hit it big in both Kantar and AGB Nielsen. With YFSF taking a break, the focus now shifts to the upcoming weekend schedules on ABS-CBN. 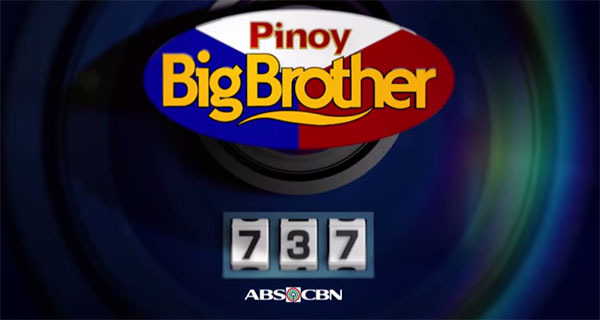 On the same night as YFSF’s finale, ABS-CBN announced that ‘Pinoy Big Brother: 737’ will launch on June 20, giving the network enough time to sort out the schedule for the weekend after. Should both TVK and PBB be held live on the same day, it may induce cramming on the part of ABS-CBN once it ran overtime. It is up to the network’s braintrust to sort this one out. Still, expect ABS-CBN to make a bigger impact in both social media and in the ratings in the succeeding weeks. Both TVK and PBB have proven themselves to be a smash hit in both aspects, so there is nothing to worry about. Regarding the Sunday schedule of ABS, the network has to simply remove the movie blocks. Try airing ASAP on an earlier time slot against Happy Truck ng Bayan. Someone told me that the Pitch Perfect movie on GMA yesterday trended more than ASAP, which was a replay because many of their production staffers were busy with the finale of Your Face Sounds Familiar. ASAP did a replay episode because most of its stars are abroad for TFC fiestas and out of town doing promotional rounds so nde dhil busy sila sa YFSF. Malabo din na ma move ito ng timeslot. pitch perfect might have trended but its a one sunday deal, so no big fuss about it. ok na wala ng talk show pag sunday afternoon, may ggv nman ng gbi so not a need na. Marcus, ASAP replays are done once a month. Not a bad proposal, James but ASAP, for me, will remain at noon regardless of the time of Happy Truck of Janno and Ogie. It’s their default time. Still, wala pa tayong desisyon tungkol kina Boy at Sharon. Good thing you decided not to disclose anymore specific Sunday schedules. I knew you know how to control before I leave. The sked I put up is only a suggestion. ABS kasi has always been airing kiddie movies on Sunday mornings. Puwede namang ilipat ang Luv U or Goin Bulilit before ASAP because those shows are fit for kiddie viewers. More like for the youth. Sounds like a back-to-back block programming. ASAP is gradually fading, to be honest. Even though they’re still capable of trending on Twitter, the ratings tell that it’s no longer a hit as they were in the past. The movie blocks of GMA, no matter how ridiculous it is, are closing the gap. Wansapanatym may also air in the afternoon opposite Wowowin. However, it is best for TVK and PBB not to air consecutively for it may cause a lot of consequences should both air live. As for the afternoon talk show, they’re just rumors, so no mention of it until it’s confirmed. ASAP kasi keeps on presenting the same types of song and dance numbers every week. It’s also becoming more of a promo vehicle for new ABS shows. And besides, it’s becoming too boring. That’s why their popularity is eroding. Much like its ‘rival’ SAS, the performances are becoming too predictable. That’s why people would rather leave and shop than to watch the said show, or watch something else since there’s already cable. They’re more excited in primetime shows than this these days. But still ASAP is ASAP and you know what parang binaboy ng GMA ang Pitch Perfect, tinagalog na, dami pang inedit. Or you can put Wansapanataym on Sundays before ASAP. Its stories are family-oriented. Let the Programming department of ABS do the job. This is just a suggested sked. I posted this para hindi magkaroon ng sobrang delay sa pagsisimula ng programming. Last night GGV started at 10:30 pm and the concert of Anne Curtis started at 11:30 pm because YFSF went overtime. ABS can minimize those delayed starts by simply removing their movie blocks. The schedule was better when The Buzz was still on the air. ABS began airing their Star Cinema movies because the network was obviously afraid of Willie Revillame. How can they be afraid? After the successful first episode, Wowowin is losing in the ratings. ABS can still put a strong program against Wowowin; they can just choose from any of the Sunday programs they have right now. Any one of their primetime shows on Sunday (or even Saturday) can move opposite Wowowin. Simple as that. This is not a bad problem. Actually its a good problem. Their pushing that their weekend primetime programming can even rate like the weekday primetime programming that rates well and earn millions of pesos in ad rates. Sabagay. Pero ABS already has too many movie blocks on Sundays kaya nga I think the Kapamilya Network should start planning the new show that will compete against Willie’s show. No need. Adjust with their existing shows when necessary. By the way, Ralph, someone told me that Pitch Perfect on GMA trended more than ASAP yesterday. It was probably because ASAP was a replay. If you’re saying that Wowowin is not rating well, why is ABS still airing those Star Cinema movies? They were simply surprised by the suddenly declining ratings of Wowowin. If they rush themselves into producing a new show just to capitalize on the latter’s fortunes, it won’t do them any good. For now, it’s movies for them, unless they decided to move one of their primetime shows to the afternoon just to accommodate TVK and PBB. Maybe because the damage Willie has done on his daily shows really hit the mark and the rumor that they only air one commercial per gap really spells doom for Wowowin. Jose: GMA has to be very strict with Willie. Remember, he is just a blocktimer unlike in his previous channels. We cannot blame GMA if they allow Willie just one commercial gap because the network obviously does not want to get into trouble with Willie. Also, GMA likes editing their movies to make it fit within two hours so that SAS can start on time. Talagang they like dubbing their movies in Tagalog supposedly to attract viewers. Even TV5 always does that. Ralph: I think ABS has to move either Wansapanataym or Goin Bulilit, or both, to the Sunday afternoon slot. ASAP is too long already at three hours which is why it’s boring. SAS is only for an hour and a half. Even the new Sunday TV5 noontime show is just two hours long. Wansa will do fine against Wowowin. Goin’ Bulilit is not willing to sacrifice the 6:00 p.m. slot because the viewers were already used to it, and they’re doing just fine in the ratings that changing timeslots may not do them any good. The length of ASAP is not the issue. Sorry but it’s true. It’s becoming very predictable like I said. You always anticipate what comes next, and it’s not because they last for three hours. Every episode has the same feel: dance and song numbers, nothing else. Technology and new ways of enjoying Sundays are becoming a culprit to its decline. i dont see why there is a schedule proposal, if they are winning then why do they need to change anything. dpat GMA ata ang magrevamp ng sked. Marcus: Except for the Tagalized movies, GMA’s Sunday sked is all right. I think they need another noontime show to complement SAS but it’s easier said than done. Willie Revillame was actually offered the 12 nn slot but he declined because of his respect for Johnny Manahan, who used to direct Wowowee and who directs ASAP now. Ayaw kasi tapatan ni Willie ang ASAP “out of respect” for Mr. M.
Ralph: Regarding Wansa, it’s a good option to be transferred to Sunday daytime. ASAP, for me, became a victim of its own success because after its competitor pulled out, it became somewhat complacent. The Buzz underwent the same problem after Startalk pulled out of the Sunday time slot which is why ABS decided to remove the show. Like what you said, people prefer to do something else on Sundays. It’s hard to imagine that shows like ASAP and The Buzz declined because of changing viewers’ taste. And besides, people can now get showbiz news from social media. Showbiz talk shows offer the same thing every week and this was probably why The Buzz was axed. That’s why the programming on Sunday morning and afternoons are becoming even more volatile, unlike weekdays, all because of people taking advantage of rare off-days through shopping and other leisurely activities. Of course, there’s technology to take advantage of. i still dont agree with you that GMA’s Sunday line up is doing ok, if so then it should rate but its not. Also RatedK might be axed soon if Roxas decides to run and announce it by June, since matagal ng wala si Korina sa TVPatrol. So kung mawawala sa ere ang Rated K ok na ang schedule ng Sunday ng ABS. Ang dapat na tanong anong gagawin ng GMA to counter such strong Weekend Primetime ng Dos. Ask Christian Anasco. He knows a lot about GMA programs that he always watches them. I only mentioned Mr. Anasco’s name because he made a comment regarding ASAP while he watched Pitch Perfect yesterday. He said in response to Jake Jacinto’s comment that ASAP isn’t that much talked-about anymore and its ratings continue to drop. He added that no one wants to see the same thing week in and week out. He concluded that movies are rating better than the variety shows on Sundays. It does make sense that BOTH networks are clearly in a struggle every Sunday afternoon. Kung sa primetime malakas pa rin ABS, not so in the afternoons, where both networks don’t do well anymore. I think we took it too far kasi it’s an issue on how to fix ABS’ primetime weekend schedules. Affected rin kasi ang afternoon because there may be a possibility of some primetime programs moving to the afternoon to somewhat alleviate the pressure. Hindi naman kasi dapat i-cram ng ABS ang primetime every weekends kasi may possibility talaga of a later-than-expected sign-off kapag ganoon, lalo na kung LIVE ang dalawang programa sa primetime. Hindi ka naman papayag na sobrang maikli ang pahinga ng isang free TV network, diba? Some changes will have to be done to make it work. ABS needs to do that just to balance things out. If that’s the case then good luck. I guess it’s time for Korina to move on. Total hanggang diyan na lang siya and it might be a conflict of interest kung itutuloy niya ito. Rated K must go for the good of the Kapamilya network. i think that since Mar will be running for president and since Korina is still ABS’ chief correspondent she will resign to all her commitments sa TV. Mar needs her and it will a different ball game kpag umalis n sya. Yes indeed. It will change everything. Kaso ang drawback lang yan ay wala nang kalaban si Jessica Soho. Unless, of course, ABS would have a new host for a new show of similar nature as Rated K.
That may be possible IF Kris backs off on her promise of leaving for the U.S.
ABS had to do it because of potential complications on TVK and PBB. Remember, PBB and TVK will run almost simultaneously, and in the event that both shows air live, it will be very problematic for ABS. One of their existing programs will have to move to another timeslot to accommodate both shows and to prevent them from signing off deep into the wee hours of the next morning. ABS signed off at about 2 am early today because Anne Curtis’ concert ended at 1:30 am and O Shopping followed. Very typical sign-off time due to live shows. And if both TVK and PBB were to go live on the day, worst-case scenario for ABS is to not sign-off at all and proceed with UKG. And besides, the longer a show last, the boring it gets. Except perhaps for Maaalala Mo Kaya. I remember, when ASAP started, it had only a few hosts. Now it has grown and too many cooks spoil the broth. Kaya nga some ASAP mainstays like Christian Bautista, Iya Villania and Mark Bautista left ASAP because there was no more space for them. MMK continues to thrive with new stories. ASAP is a different story. Especially with the same types of production numbers being done weekly on ASAP. Time to shorten its timeslot to two hours. It will depend on management. they left because these artists have no fan base and their contract has expired. so they were let go. I think ABS may have to sacrifice either Luv U or Goin Bulilit. I think one of them may have to be aired on a Saturday because both shows are directed and created by Edgar Mortiz. Nah, their Saturday lineup is too loaded post-Showtime, so it’s not possible. Also, Ralph, ABS should shorten the time slot of ASAP and make it just two hours. Get rid of the teen stars who don’t do much on the show except lip synch their songs. If your suggestion might push through many fans of those teen stars might be outrage with anger. Then schedule the young stars’ guesting only during special occasions. Or better yet, arrange a schedule where a teen group can appear on a certain week. Three hours is already too long for a noontime variety show. SAS is just an hour and a half while TV5’s new show Happy Truck ng Bayan is just for two hours. well those teens are the ones helping the shows ratings, and finance wise they bring the money to the network thru out of town shows, concerts albums films and etc. so unless may suggestion ka that will compensate the loss of income by eliminating them then ABS will consider it. Training ground ng ABS ang ASAP so malamang may mga bagong talents at mas bata ang nandun. kelan ba naimbitahan ang mga senior stars kpag fiesta? income from a show is beyond commercials. Also by shortening the time slot of ASAP, ABS-CBN can accommodate the NBA Sunday games. It depends on the schedule the NBA would give to us here. Or maybe move the games on sundays. I’m sure ABS-CBN will make the adjustments to allow the NBA to be aired on Sundays. Move Matanglawin to an earlier time slot, remove the movies and shorten ASAP’s airtime. ABS should coordinate with the NBA office in the US regarding this. Yun nga lang, Solar owns the contract. Puwede namang mag-usap ang Solar, ABS and the NBA. One thing’s for sure: There are no plans for Channel 2 to move the NBA games to Sundays. Saturdays are just fine for them. And besides, it would be in conflict with Pinoy Pride and other boxing events should they be scheduled. So stop whining about moving the NBA games on 2 to Sundays. If TVKP and PBB do go live, the best suggestion is to scrap Sunday’s Best unless a special show is scheduled like a documentary, concert or awards night. If there is no such special, pre-empt Sunday’s Best and air O Shopping after GGV if the live telecast gets extended. If a movie is scheduled on Sunday’s Best and there is a live TVP and PBB, then move that movie to the following Sunday. Then again, ABS fixes the schedules in advance, so it’s up to management to fix that. Air the Pinoy Pride fights on a late Saturday time slot. I don’t think they’ll allow that, considering the reality shows and Banana Split are already fixed and boxing is usually standard fare on Sundays. Just move on from it. Korina has not been seen on TV Patrol for a long time. I think it’s time for her to leave Rated K and for ABS-CBN to ax the show to accommodate their reality shows. Besides, more people watch KMJS. Regarding Pinoy Pride Boxing, ABS-CBN has good fighters but none of them are as popular as Manny Pacquiao. More people would surely watch an NBA game on a Sunday compared to a not-so-popular boxer. Again, enough whining, Mr. Sunday. Popular or not, boxing on 2 is here to stay on a Sunday. As Marcus has said, all these unrelated comments are going too far. So stop. Rated K has to go. Simple as that. Tama KMJS has better content than Rated K.
Wala kasi ka-equal si Jessica Soho. Mas well-traveled pa siya kaysa kay Korina, at less controversial. Jessica Soho used to be GMA’s top boss in their news department. Korina naman lacks credibility. I know boxing is here to stay so if there is Pinoy Pride, let it air on a Sunday. If there is no Pinoy Pride, then air NBA. It’s better than those Disney movies aired over and over again. If NBA is to air live on a Sunday, then reduce ASAP’s time slot since you have always mentioned that these same production numbers over and over again. A three-hour Sunday variety show is already passe with GMA Supershow long gone. Didn’t I tell you to stop? If that’s what ABS wants, so be it. Again it’s getting off-topic like Marcus said, so stop. Hahaha mr sunday does it again. I believe that the programming department of ABS CBN are the best in the business so let them do the job. Is ‘Mga Kuwento ni Marc Logan’ on hold or cancelled? If ABS-CBN management really cares about the show, it should replace Kapamilya Mega Blockbusters and nothing else. The expected result should be more breathing room for TVK2 and PBB737 weekend edition. Possibly on hiatus. Remember, MKML only began airing once the first season of The Voice Kids ended. Now that Season 2 has arrived, it deserves a much-needed break. Well Mga Kwento Ni Marc Logan is still on air. So i think MKML will not be a filter show after all. Logic appeared to have been defied, for now, especially with TVK still early in its blind auditions. But if ever TVK would air live, expect MKML to take a break again. I cannot blame ABS if it doesn’t want to reduce ASAP’s timeslot. Although some of us find the show boring, there are people who like it that way, especially the die hard fans of the young stars who appear on the show. Marcus also has a point regarding the airing of ASAP in foreign markets, for it helps promote the young stars’ talents to overseas Filipinos, as well as boost albums and live shows. Boring as it may sound to us, but that’s best for business. We can leave the morning slots intact. Our main concern now is the shows after ASAP. That said, I think ABS needs to remove the Tagalog movie blocks to accommodate either Wansapanataym or Goin Bulilit in case PBB and TVP are aired live on the same day. And as I posted, if there is no special like a documentary, concert or awards night, pre-empt Sunday’s Best especially if ABS is just showing a movie. The one in the afternoon opposite Wowowin is a better option at this point. Again, our only concern here is post-ASAP shows. Leave the morning schedule alone. What I mentioned is that Wansapanataym or Goin Bulilit should be moved to the afternoon and not the morning. GB can be paired opposite Luv U because both shows are directed by Edgar Mortiz and his son Frasco. Again, it depends on the possibility of a live broadcast for both PBB and TVK, which is why they resumed airing the show on a per-episode basis. There could be a possibility of another preemption, for sure. Also last night, The Voice Kids was moved to 8 pm and Rated K to 9 pm. But once PBB starts, magkakaroon uli ng pagbabago sa Sunday schedule. I think Rated K has to go especially since Korina will have to support her hubby Mar Roxas in next year’s elections. We’ll leave it to ABS regarding next Sunday’s schedule. It will be a very tough decision for them. PBB will also be aired twice on weekdays. Thus, Kapamilya: Deal or No Deal and My Lovely Girl will air their final episodes this week to give way to PBB. More on that in an upcoming article, which should also concern the Asianovela fans as well. Speaking of next Sunday, ABS will air the Guillermo Mendoza Awards Night after GGV. The event was held last night at Solaire. That’s out of the question. ABS’ scheduling concerns next week will involve the shows post-ASAP and pre-GGV. That’s all. Last night, Rated K was aired at 9 pm. This is slow but sure sign that Korina Sanchez’s show will be on its way out once she decides to quit and help her hubby Mar Roxas in his presidential bid next year. Besides, ABS thinks Korina’s show is losing to KMJS so it put Voice Kids against Jessica Soho’s show. We’re expecting this to happen.